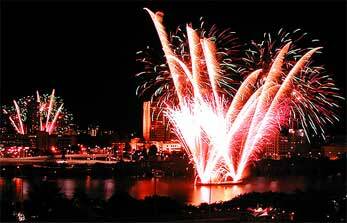 Riverfire, as the name suggests, is an annual event that "sets the river on fire" with a spectacular fireworks display on a night late in September. 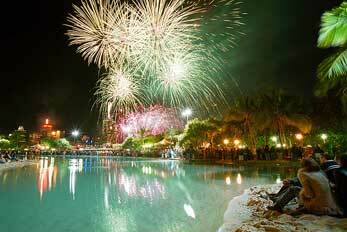 The fireworks are accompanied by a soundtrack blast out obver loudspeakers, comprising both the year's biggest hits and a stable of classics. 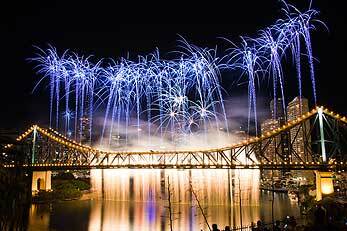 The fireworks - regarded as one of the most technically challenging and electrifying fireworks displays in Australia - are set off from bridges, barges and city rooftops. 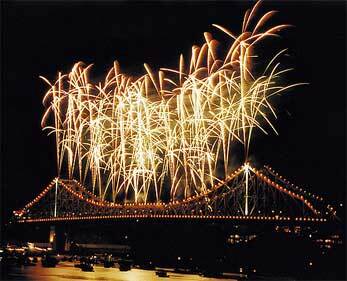 The display runs from 7pm to 7.25pm. F18 Super Hornet jets fly over to herald the start of the event. 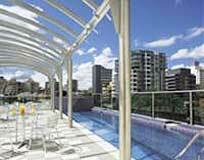 Victoria Bridge, South Bank, Kangaroo Point Cliffs, Captain Burke Park, Wilson’s Lookout, City Riverwalk, including Riverside Centre and Eagle Street Pier. All these sites offer food and beverages for sale. For people who have limited mobility, access is available at South Bank, Eagle Street Pier, Riverside Centre and Captain Burke Park. 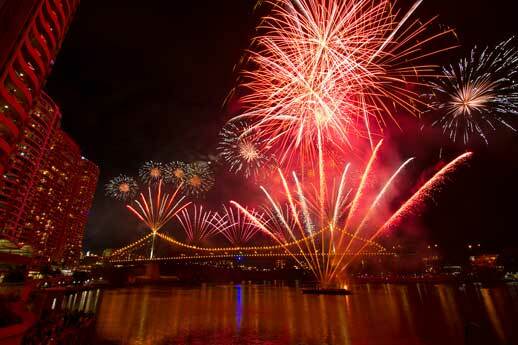 Information on the next Riverfire event will be available on the Brisbane Festival website in 2016.